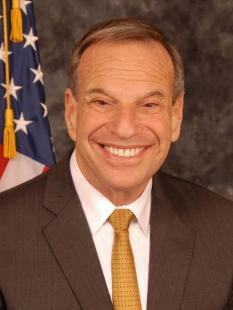 Could elearning have prevented the Filner sexual harassment lawsuit? The growth of eLearning as a method for corporate training has helped companies in a number of ways–reduced training costs, a more knowledgeable, productive workforce and more. Most importantly, elearning programs provide companies with a simple, flexible option to ensure employees are compliant with relevant laws and regulations. And while online training doesn’t guarantee issues or violations won’t arise, it can protect employers against the type of case being brought against Mayor Bob Filner and the City of San Diego. Filner is currently facing a sexual harassment lawsuit by his former spokeswoman, in which the City of San Diego is named as a co-defendent. Harvey Berger, a lawyer for Filner, recently stated the city should be held liable for failing to provide the required sexual harassment training. California law states employees must receive at least two hours of training within six months of their initial start date. In Filner’s case, the city did schedule an in-person training session to fulfill the requirement. However, according to CNN, the session was cancelled by the trainer and never rescheduled. One of the major pitfalls of in-person training is coordinating schedules of the relevant parties. This issue is only intensified when dealing with the mayor of the eighth largest city in the U.S. Had the City of San Diego invested in an online training program, Filner would have been able to take the training at a time of his choosing, and from any location. Additionally, the city would have been able to track his progress to ensure he had completed the training, as well as used course assessments to test his understanding of the material. As Berger states in his letter, “There is very, very good reason for mandatory sexual harassment training. If nothing else, it makes people think about the subject and how they interact with fellow employees.” Perhaps receiving the required training may not have deterred Filner, or any other employee, from harassing a fellow staff member. However, with the simplicity and ease elearning systems offer, there is a strong argument to be made for better to be safe, than sorry. Check out our blog post outlining sexual harassment training requirements by state. OpenSesame provides more than 100 sexual harassment elearning courses. Contact us if you are looking to add these course to your corporate training program.